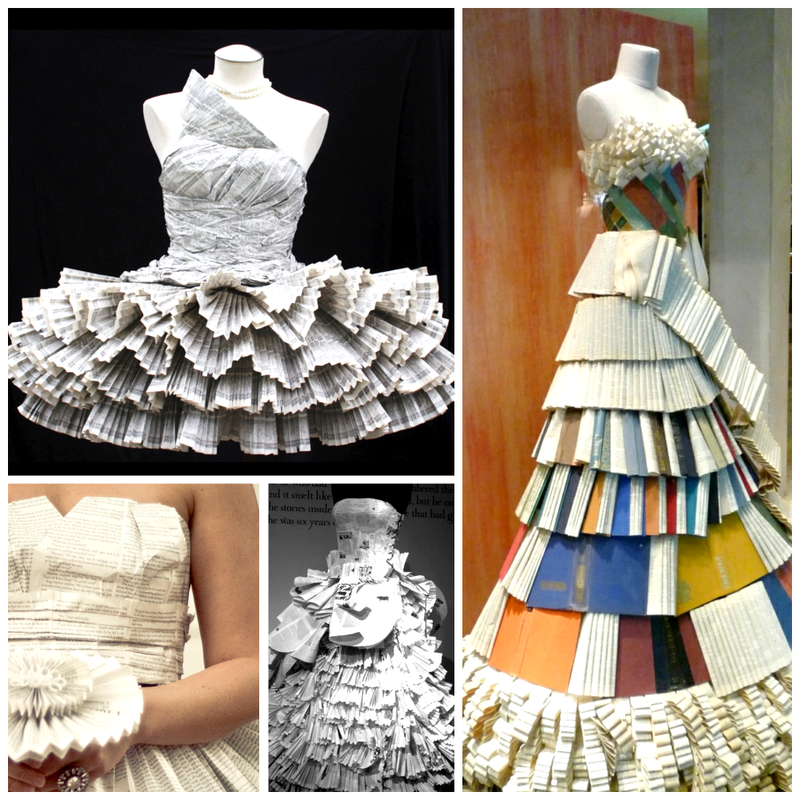 Everybody's talking about the red carpet hits and misses at last night's Academy Awards, but we're more inspired by these clever gowns made entirely of books! Sitting down might be difficult. And we’d want to stay way from rain (or open flame!) while wearing these beauties – but we’re all willing suffer a little for fashion, aren’t we? And we have to give a special mention to Miss Spelled (get it?!) for adorability. 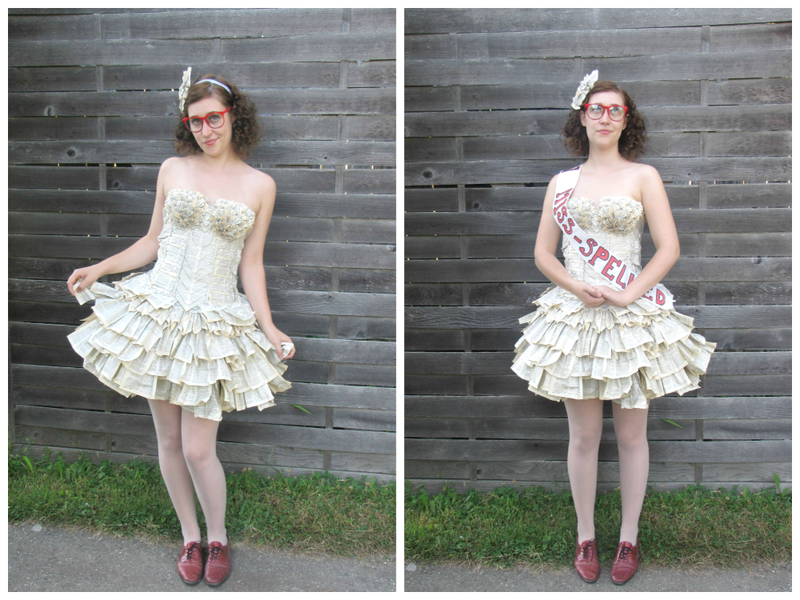 Here’s the artist at a readers and writers festival, modeling the dress she made entirely from the pages of a book. Have you seen a nifty paper dress online? Share a link in the comments – we want to see it!